Written and performed by Jamal Harewood. Have you ever seen a polar bear in the flesh? Here is your chance to get up close and personal. What do a black man and a polar bear have in common? More than you can imagine. 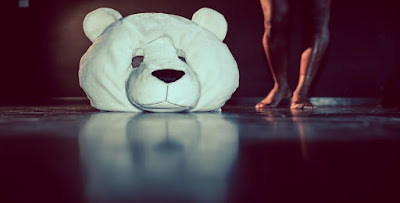 In his first public event, performance artist Jamal Harewood invites the audience to embrace their privilege as they enter man’s unnatural representation of the polar bear’s habitat. He is taking his outstanding debut show, The Privileged, to venues across the UK and overseas in 2017/18. Be a part of this unpredictable hour long event opening up the discussion around race that resonates deeply in a seemingly lost and broken community. Jamal Harewood is a live artist who creates temporary communities through playful participatory events. The performances created focus on ideas of identity and race within the community, and strive to abolish the hierarchy between performer and audience. Supported and developed at University of Chichester, SPILL Festival of Performance & the Arts Council England National Lottery fund. 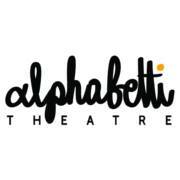 Each performance is followed by a post-show discussion which the audience is invited to stay for. The Privileged comes to Newcastle Alphabetti Theatre on Tuesday 27th February - Friday 2nd March 2018 at 7:30pm Tickets are £8 full price/£6 concession (Student, OAP, Artist, Unwaged).